F.C.C, the ever known religious congregation both in India and abroad, its humble and genuine traditions are very much appreciable. The name FCC is written in the hands and heart of God with much love. She who is born in the 19th centaury of 1st Millennium is very much impressed by every people as she has given birth to Maria Rani Region, Rajasthan in the 2nd Millennium. Yes, Maria Rani Region, Rajasthan was born on 5th March 2006 accomplishing the sweet dreams of its Mother Province- St.Mary's Province Mananthavady.It is Very Rev. 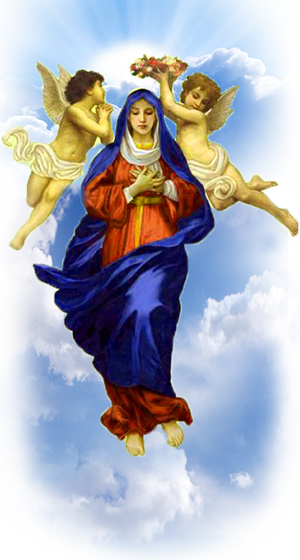 Mother Ceelia the Superior General who declared it officially and named it Maria Rani Region which celebrates its Regions Day on 22nd August- feast of Queenship of Mary. It was one of the auspicious occasions where Rt. Rev. Bishops, priests, General Councillors, Provincial Superiors, representatives of different provinces and religious to that joyful occasion. Today the fragrance of FCC and its daughter St. Alphonsa is spread all over Rajasthan through the daughters of Maria Rani. Nothing forbids a missionary to preach the Gospel if he / she is determined fully. Indeed it is quite true all the members of the Region to be donors of God's love and to be the channels of peace. Nothing hinders us- neither scorching heat, nor the hot tempest, nor the ignorance of local languages, nor all other struggles and challenges of daily life. Though 121 years have been elapsed after the birth of Mother FCC, even today daughters of Maria Rani make all their attempts to radiate the fragrance of joy and love while living the charism in its fullness. The Provincial Superior Rev. Sr.Sinclare walked a thorny path to declare it as a Region. To feed this young branch with God's love Rev. Sr.Anslin, Rev. Sr. Gracy George, Rev. Sr. Mary Valliath, Rev. Sr.Maria Gorethi and Rev. Sr.Jesline were elected as the Regional Superior and team. Again for the smooth running Rev. Sr. Jositta and Rev. Sr. Sunitha were elected as Treasurer and Secretary as well. God choose his own dear ones as His very instruments. Yes we are bound to His Excellency Rt. Rev.Ignatius Menezes, Bishop of Ajmer who invited us and accepted us magnanimously. It is he who fulfilled the felt needs of ours in the beginning years. Accepting the invitation whole heartedly the Provincial Rev. Sr. Villanova sent Sr. Anslin, Sr. Mercy George, Sr. Prasanna and Sr. Rose Sebastian to preach Good News. They are the pioneers of our Mission and of the 1st community Alphonsa Convent Suratgarh which was opened on 28th July 1988. The dream of our Region was fulfilled on 29th April 2009 as our Mission House was established in Kerala at Kaniyambetta under Mananthavady Diocese. In Rajasthan, we are spread over three Dioceses- Ajmer, Jaipur and Udaipur. Today our main apostolic fields are teaching, social work, non-formal education and healing ministry. Our sisters filled with spirit and enthusiasm rooted in prayer fulfills their responsibilities for the glory of God. We are teaching in the schools of CST Fathers and under Dioceses. 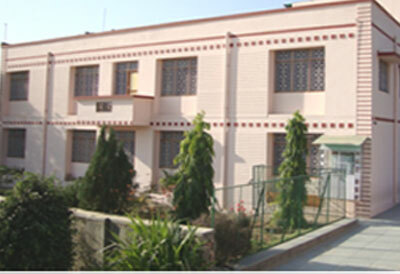 We also have started our own school in Jodhpur which has got classes up to 7th standard. We are grateful to God and the sisters who worked hard in its infancy and now it is growing well. Mainly we focus on the education and development of poor villagers and provide them concession and free tuition. At the same time, to be successful in every ministries many of our sisters do our higher studies such as BA, BSc, BEd, MSW,Nursing etc. It is astonishing that Maria Rani has given birth to 16 buds of formees in different stages of formation. Yes it was the cherished desire of our Region. Today they have started imbibing the spirit and charism of Mother FCC. We can never forget the sisters who went nook and corner of North East without considering their own time and energy to recruit the young ones. We wish and pray that may God bless our Region with many more genuine vocations. Above all these by the grace of God our souls are nourished with every kind of spiritual food - daily Mass, Sacrament of Reconciliation, retreats, courses, seminars etc. Everyone do their best to grow in holiness as well as to make the Region grow. We only bow our heads before God Almighty who never delay in showering His mercy upon us. For all these let Him be glorified forever.